"After Freud Left makes a much needed intervention into the historical record, revealing the eclectic and incongruous ways in which Freud's ideas migrated stateside." (Brooklyn Rail)"
From August 29 to September 21, 1909, Sigmund Freud visited the United States, where he gave five lectures at Clark University in Worcester, Massachusetts. This volume brings together a stunning gallery of leading historians of psychoanalysis and of American culture to consider the broad history of psychoanalysis in America and to reflect on what has happened to Freud's legacy in the United States in the century since his visit. There has been a flood of recent scholarship on Freud's life and on the European and world history of psychoanalysis, but historians have produced relatively little on the proliferation of psychoanalytic thinking in the United States, where Freud's work had monumental intellectual and social impact. 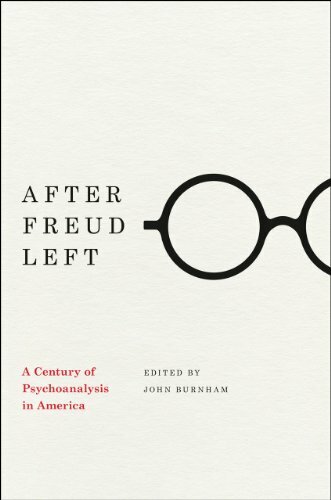 The essays in After Freud Left provide readers with insights and perspectives to help them understand the uniqueness of Americans' psychoanalytic thinking, as well as the forms in which the legacy of Freud remains active in the United States in the twenty-first century. After Freud Left will be essential reading for anyone interested in twentieth-century American history, general intellectual and cultural history, and psychology and psychiatry.